There were many amazing experiences with kind staffs in cozy space. 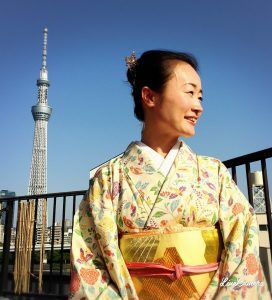 - Wearing Japanese traditional clothes "Kimono"
Women can wear beautiful color Kimono and men can wear Samurai style Kimono. There are Kimono dressers to support us. 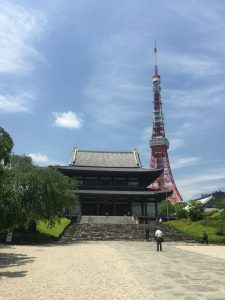 A tour guide explains about Asakusa history in English. After some communications, a staff who is good at Japanese writing chooses Kanji characters for you. I really enjoyed walking Asakusa with wearing Kimono. I am sorry for such a late response! I found out that I can response your review just now. I really enjoyed the Japanese cultural experience with you. Hope to see you in US!! Norie, my tour guide has a pretty extensive knowledge of Asakusa and its history. She answered all of my questions and took the time to explain them in great details. My phone stopped working, the night before I was about to leave for Tokyo. I had to asked Norie, if we can use her phone to take pictures. She gladly took the photos and emailed them to me. I hope we can meet again!! ②My wife and I had a very nice afternoon with Norie exploring Asakusa and the Sensoji temple area plus we got our names written in Kanji as a souvenir after. The guided tour offered by Kanji House is a must do for anyone visiting Tokyo. 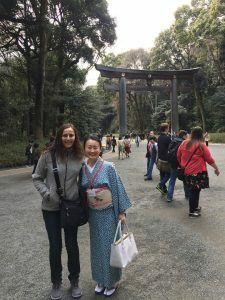 Norie was very friendly and a great guide showing us not only the temple area but around as well. I am so sorry for very late response. Only few times in ones life, a real experience results better than a dream of it.That is what happend in my trip to Japan, and probably one of the best experiences in the whole journey was the visit to Kanji House. 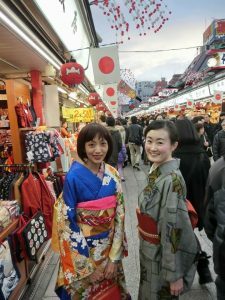 In traditional Asakusa district, two lovely and smiling ladies, dressed in beautiful Kimonos, approached me kindly and explained their newly crowdfunded business, to write your name in japanese Kanji. 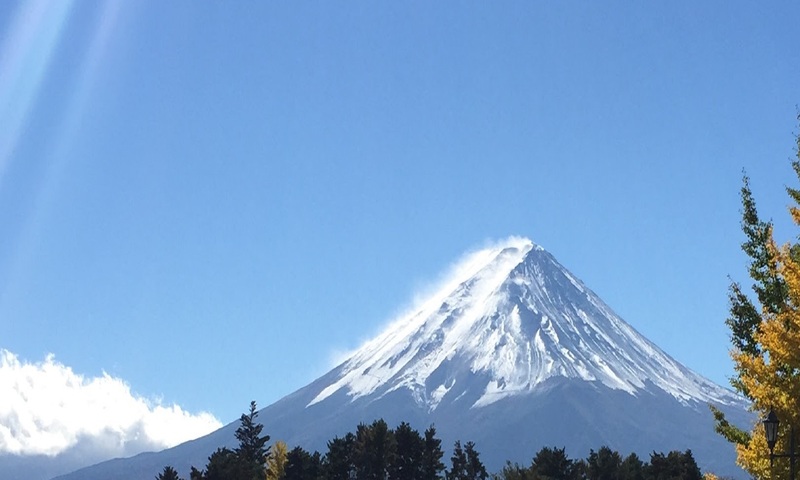 Beeing a japanese art lover, I accepted, curiosly, to see where this experience would take me. We walked a few blocks, and got to a traditional japanese house, where in the second floor, Norie San and Akane San had their business, beautifully decorated. We talkes a little so that they could find out a little more about me and my life, because it is not only that they will write your name translating or transcripting it into Kanji, they really fin a meaning for each Kanji, that suits a positive caracteristic of you. Then, with brush, ink and rice paper, they write you new name in Kanji, explaining why they chose each kanji (and give you a certificate of the visit and the explanation to each Kanji). 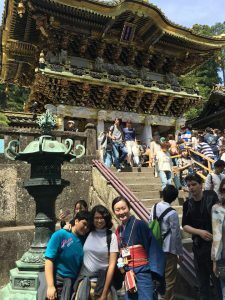 Norie San and Akane San were always very friendly, smiling, and the best host there can be. I walked back to my hotel with a smile from ear o ear, and my Kanji, framed (a must!!!) under my arm. I hope everyone can enjoy this experience aswell! 🙂 My sincerest and warmest regards and congratulations to Norie San and Akane San. Thank you for your review!! I am so sorry for late response. Excellent ! Exclusive! Extraordinary ! I love Kanji House. Their service and hospitality is two thumbs up. A very warm welcome from cozy and compact little place makes me feel very special. 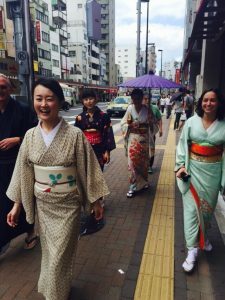 Dressing up in beautiful Kinono and touring around Asakusa area is really fun. They also help me to take a lot of photos because selfies are not enough as the surrounding is very beautiful and I want to take as much photos as I can !!! Such a unique experience for me. On top of that, I can bring back my own name written in Kanji characters. This is very exclusive !!! 100% satisfaction for me. I am so sorry for such a late response. I just found out I can reply to your review now. Actually, when I guided and offered the kimono dressing service, I was very fresh for this job, but you really enjoyed my tours, so I am so happy. Hope to see you again in Myanmar! !